Mario Golf Toadstool Tour is the Gamecube edition of the Mario Golf series. Mario, Peach, Donkey Kong and a cast of their cohorts have dusted off their clubs and set their sights on a new championship in Mario Golf: Toadstool Tour. 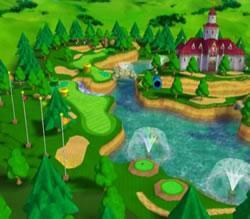 Two new styles of golf course and a new swing system offer both the seasoned Mario golfer and those new to the game a fresh look at golfing in the Mushroom Kingdom. Character match - A one v one challenge game against a computer opponent using match rules. Tournament - the player competes to earn badges on specific holes and to finish in first place on one of many eighteen hole courses. The lowest scorer at the end of the tournament is the winner. Training mode - practice makes perfect, you can set the weather conditions and play the hole of your choice. Club slots - Complete your rounds of golf with a limited amount of clubs. There are also a whole host of unlockable game modes! There is a Pikmin Cameo in the game, when players knock the ball into the flowers/out of play a load of Pikmins go flying! 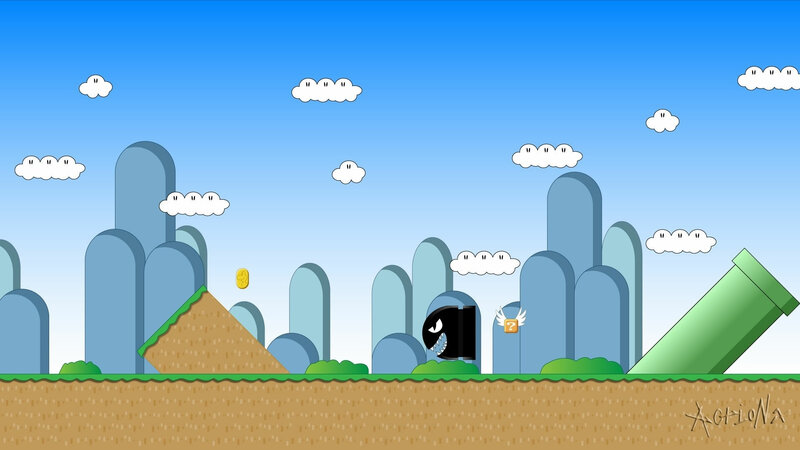 The scoreboard shows lots of different past and present characters from the Mario universe such as Hammer Bro and Goombario.